"After I book a hunt with GetDucks.com I relax knowing that all the arrangements will be taken care o..."
Now accepting reservations for January 2-17, 2020 and January-February 2021 (several weeks already sold out). 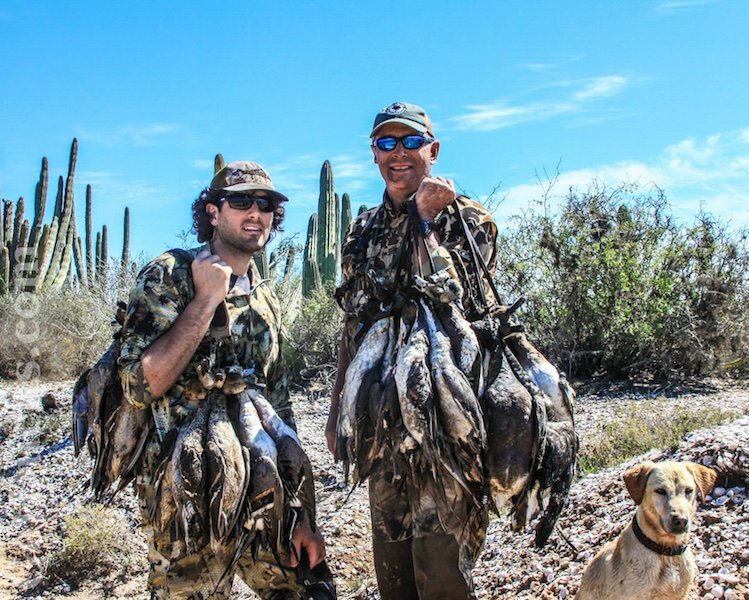 Mexico Duck Hunting Combo dates are reserved over a year in advance. Contact us NOW to discuss dates or make reservations. 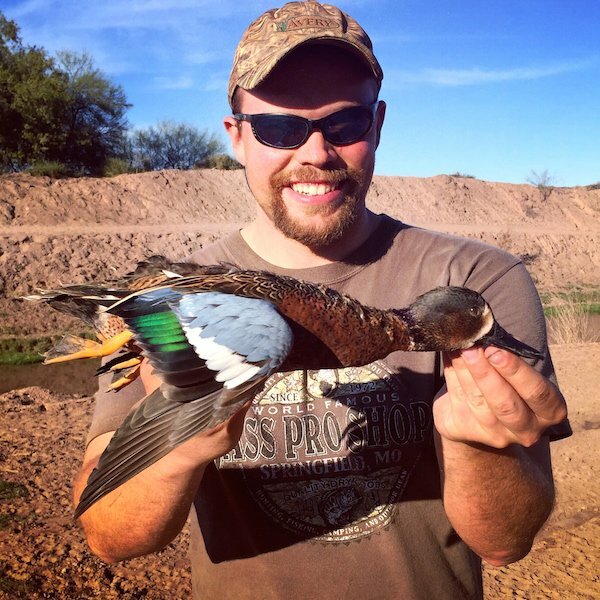 *NEW* Mexico Duck Hunting Combo (Duck-Dove Combo): 4 nights/ 3 days hunting program morning ducks, afternoon doves only $3,350 (December through February). Morning duck hunting, afternoon dover hunting, inclusive package. 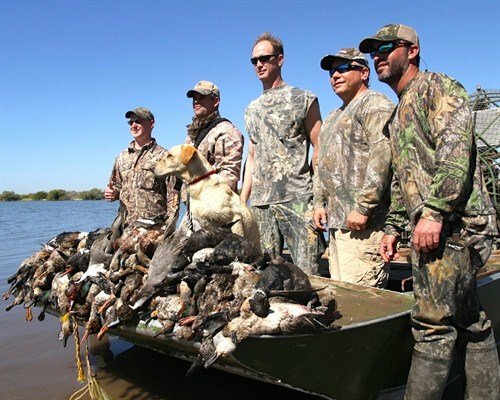 Obregon Mexico duck hunting combo features Mexico duck hunting, dove hunting and more – the perfect Mexico wingshooting vacation hunt. 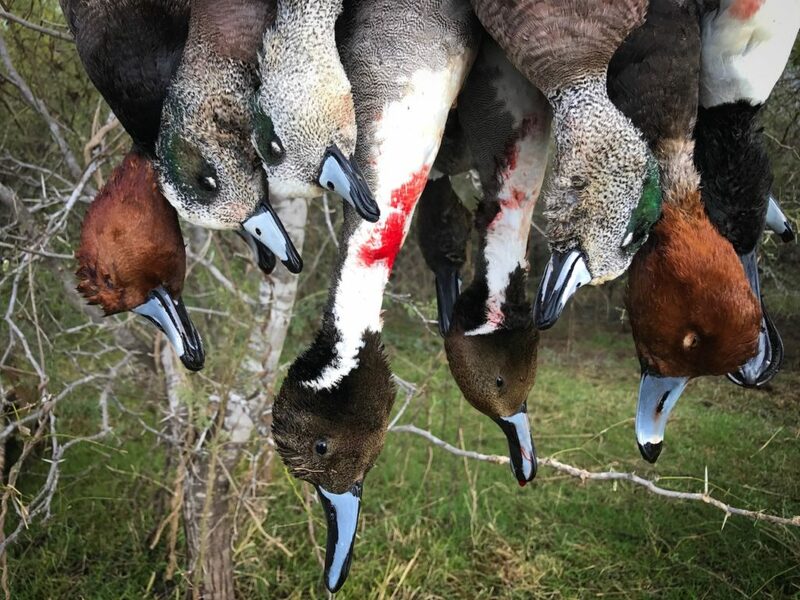 Whether you’re an avid shotgunner simply looking to add high-quality shooting to your post-season agenda, or a serious collector seeking new life-list species, GetDucks.com knocks this one clear out of the park with the best-available package at the best-available value. 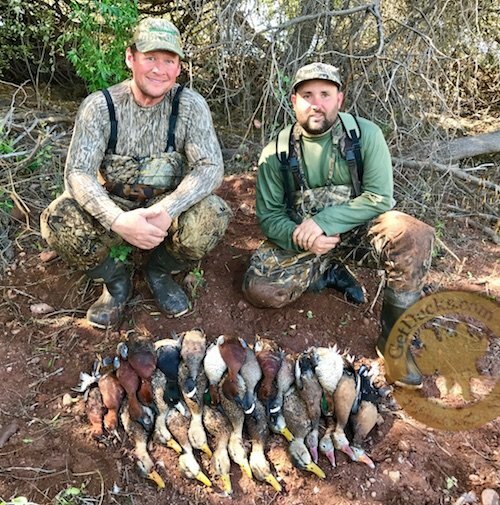 Mexico duck hunting trip of a lifetime – packages may be customized to include hunting ducks, doves, quail, even bass fishing. Black brant are sometimes available, but this is not a Mexico brant hunt. Obregon is perfectly situated in the Yaqui Valley, the fertile bread basket of Mexico that’s bound to the west by the Sea of Cortez. The landscape is millions of acres of nearly-continuous agricultural production, primarily wheat but also other grains, an extensive system of impressively sophisticated freshwater canals devised for irrigation, freshwater ponds that catch irrigation runoff, and large, tidal-influenced estuaries historically renowned for overwintering a tremendous number and diversity of Pacific Flyway wildfowl. The result is a wingshooting paradise: duck and brant hunting in Obregon, Mexico is a trophy collector’s paradise to include Cinnamon Teal, Green-winged Teal, Blue-winged Teal, Northern Pintail, Mexican Mallard, Black Brant, Gadwall, American Wigeon, Canvasback, Redhead, Black-Bellied Whistling Duck, Northern Shoveler, Lesser Scaup, Red-breasted Merganser and more. Mexican Mallard density is likely greater in the Yaqui Valley than anywhere in the entire world – adding one to your life-list is assured. Besides waterfowl? Gambel’s Quail thrive in the valley, where they covey in narrow slivers of wooded thickets between agricultural fields, but the real trophy upland bird prize here is Elegant Quail, a species endemic to the region and that likely exist in no greater number than on our outfitter’s exclusive landholdings. 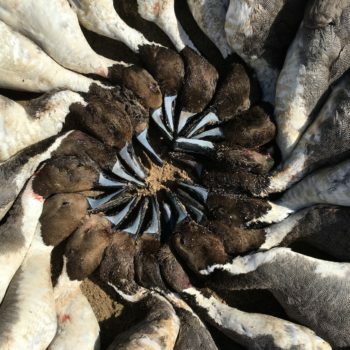 During the waterfowl season, the fabled flocks of white-winged doves have retreated to mountains, where sorghum is then plentiful, but guests have little problem warming their barrels with 10 boxes of cartuchos (or more) at swarms of mourning doves and later-flying white-wings. Or maybe you’d rather bend a bass rod at 32,000-acre Lake Oviachic, where 15-20+ fish, some upwards of 8-pounds, is not uncommon during an average morning. Guests are lodged in the well-appointed Hacienda La Nellita, located in downtown Obregon only 10 minutes from the airport. Amenities feature 9 comfortable, ensuite bedrooms, sprawling lounge areas, open bar, large dining room, roomy exterior patio, satellite television, jacuzzi, telephone, wifi and fax. Enjoy the friendly atmosphere, impeccable service, security and the personal touch of experienced, well-trained staff (many have been here for decades). Excellent chef-prepared meals of beef or chicken, fresh seafood, Mexican specialties, and regional dessert favorites are served by attentive wait-staff. An open bar includes selections from Chivas Regal to what are truly the very best margaritas in Mexico. The typical day begins with an early wake-up, a cup of coffee and bowl of cereal. Drive times range 1-1.5 hours. The airboats and field-staff have deployed decoys and await the hunters. 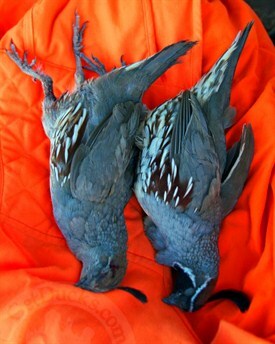 Two to 3 hunters are placed in amply brushed blinds with solid wood flooring. Enjoy warm, delicious breakfast tacos in the blind at sun rise. Each hunter’s seat contains an assortment of iced beverages, and containers are usually much heavier with ammo before than after the hunt. Airboats regularly sweep up downed birds, check on the hunters success, or move them to another location if for some reason the shooting is less than expected – and they’re always available via radio contact. When the tide or the birds cease movement for the morning, hunters will enjoy box field lunch in a shady spot. Sometimes, the chef and wait-staff will present full lunch overlooking the Sea of Cortez, along with a full bar and hammocks. Following siesta, hunters will return for an optional afternoon hunt before retiring to the estancia. Afternoon activities consist of duck hunting, dove hunting or quail hunting. Expect to hunt both ducks and doves during the afternoons (unless you instead decide to return to lodge instead). From full-sized trucks that are meticulously detailed each night to the powerful airboats that slide effortlessly across the shallow bays, top-of-the-line equipment ensures your comfort and hunting enjoyment. Free use of clean, reliable Beretta semi-auto 12- and 20-gauge shotguns is included, or bring your own trusty scattergun for a small import fee that includes 2 guns plus an ammo allowance. There are no other Mexico waterfowl operations that have access to as many high-quality properties – the properties you will hunt are truly among the very best in the region and new properties are added annually. Truly excellent hunting programs as this do not happen by accident. 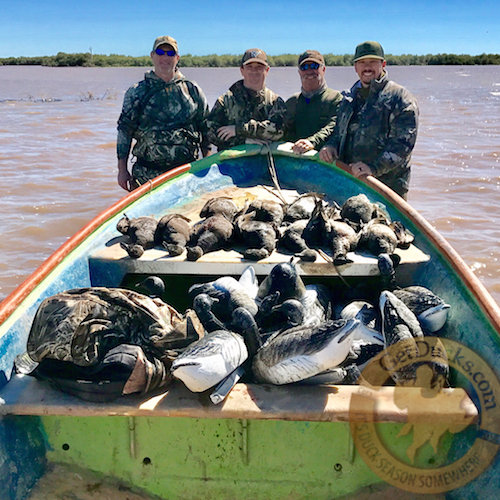 A current theme among the many client testimonials for these Mexico duck hunts is the hard work and dedication of everyone involved ensuring that each guest gets their desired species and, importantly has a great time. This is exactly why these hunts sell out so far in advance. 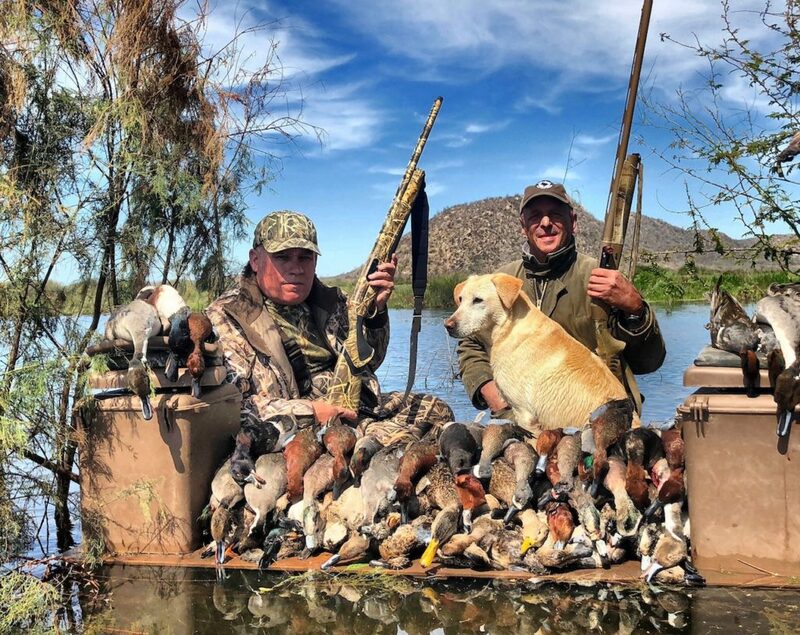 Obregon Mexico duck hunting combos are January-February, commencing the week between Christmas and New Year and lasting through early-March. 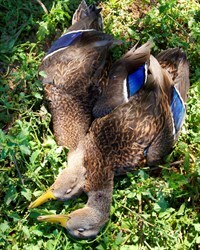 Ducks are plentiful during this period and prime for taxidermy purposes. 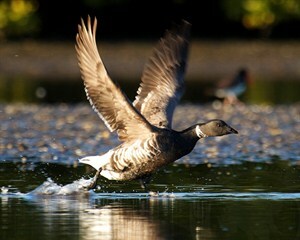 Brant hunting is limited due to withering migrations in recent years. Upland bird species and fishing are also available during this time. December 1-24, duck, dove and fishing combo only (no brant). * Lodge Exclusive – A minimum of 10 paid hunters (or total 40 bed nights) is necessary to ensure exclusive use of lodge. These Obregon Mexico duck hunting combo packages are customized exclusively for GetDucks.com to include everything but the ammo you actually shoot. Absolutely no hidden costs or surprises. Special note: these exclusive packages are waterfowl-only that neither necessitate nor include dove hunting, “canal duck shoots”, quail hunts, bass fishing, ground transfer from Hermosillo or the extra services of gun cleaning, boot cleaning and laundry – these options may be added at the hunter’s discretion for very minimal fees ($250 total or less) that are described in greater detail under “Trip Specifics” tab. Please note that gratuities are included. You will not be berated for gratuities or extras at every turn. Additional gratuities should be left purely at your discretion. As you shall see, the entire Obregon staff will do their utmost in gaining your satisfaction and in your acquiring all coveted trophy species. Airport transfer from Hermosillo ($75 per-person round-trip). Less than 3 passengers or special transfers POR. It’s been our experience that over a 4-day hunting period, maximum additional expenses to include, for example, firearm importation, Hermosilla transfer, gun and boot cleaning, 1 canal shoot and a morning dove hunt, are within an additional $250-$300 and purely at the client’s discretion. 1. Quail importation requires Elegant and/or Gambel’s licenses that cost $100, respectively. Quail are not hunted over pointers; it’s a walk up hunt. 2. Effective December 1, 2014, a USDA Import Certification (VS-Certificate) is no longer required for import of birds from Mexico. 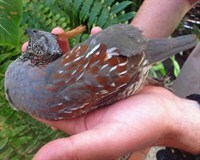 All imported birds, however, must be consigned to a USDA Approved facility. 3. Guests are provided with hunting licenses, permits and tags and may import no more birds than what these documents provide. 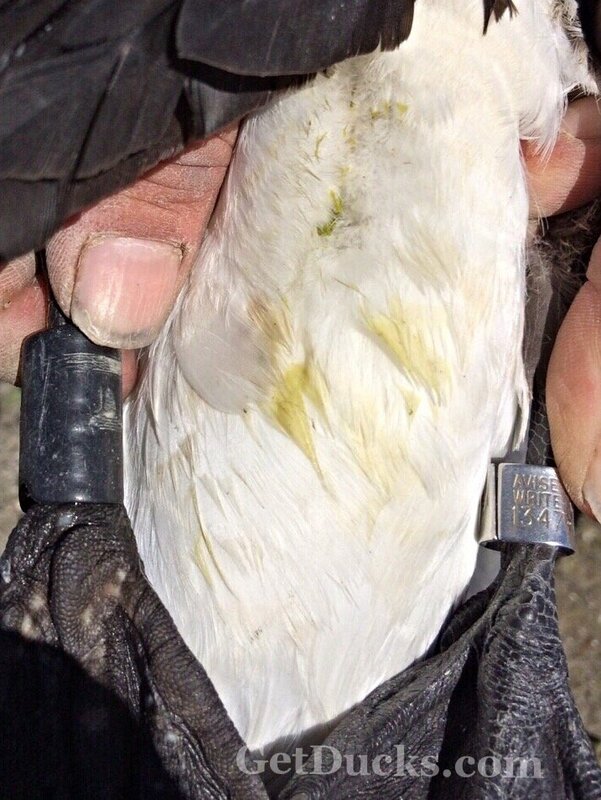 For import into US, each bird must be properly tagged by the hunter. All containers in which imported birds are brought should be properly and conspicuously labeled regarding contents per 50CFR. 4. If you intend to bass fish for certain, please bring your own gear. You may rent rods for $10 if bringing your own reels and lures, or you may rent rods, reels and tackle for $25. All rods, reels and tackle provided are top-of-the-line. 5. Black-bellied Whistling and Fulvous Whistling ducks are listed as CITES species and require special permits. Permits require 30 days minimum to obtain from Mexico officials. You’ll be unable to personally transport them back immediately after the hunt. Packing for this Mexico duck hunting combo is very simple. The weather is moderate (50s-80s). Breathable, uninsulated waders are perfect, and most guests wear shorts underneath. Light-weight clothing in camo or earth tones, ball cap and sunglasses, hearing and eye protection, and sunscreen are musts. Attire around the lodge is casual, and laundry services are available. If taking trophies home, bring 2-gallon ziplocks, pen or marker, and tags for properly labeling your trophies. Contact your USDA-approved taxidermist prior to travel to discuss taxidermy and import. 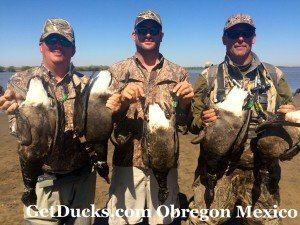 GetDucks.com will send an Obregon Pre-Trip after deposit is received. Please contact us anytime to discuss your upcoming trip. The Mexican Duck (Anas diazi), or Mexican Mallard, is a dabbling duck that breeds in Mexico and in isolated instances in the southwestern USA. Resembling a female Mallard at a glance, but with a slightly darker body, the Mexican Duck is mainly brown, with a mallard-like blue speculum edged with white, obvious in flight or at rest. The male has a brighter yellow bill than the female. They make mallard-like vocalizations. Once recognized as a sub-species of Mallard, it has ben argued that they most closely share origins with the American Black Duck. The species is undergoing a slow decline, presumably due to habitat loss. It hybridizes with Mallards which are better-adapted to utilizing habitat altered by human activity. The Mexican Duck was listed as endangered species at the United States Fish and Wildlife Service in 1967 but was removed in 1978. Arguably, the greatest density of Mexican Ducks in the world exist in Sonora Mexico’s Yaqui Valley. Elegant Quail (Callipepla douglasii) are endemic to the Pacific-slope thorn forests of north-western Mexico, primarily the moutainous uplands of Sonora. The golden-buff crest of the male is the most striking feature. The head is dark, speckled with black and gray that extends to the throat. The sides of the neck are grayish-brown, the back and sides are brown, streaked with white. The breast and belly are gray and brown with large white spots. The legs, feet and bill are dark gray to black. Black Brant (Branta bernicla nigricans), or Pacific Brant, are an abundant small goose associated with Pacific seashores that breed in the high Arctic tundra and winter along the Pacific Coast. About 50% of the world population of Pacific Black Brant overwinter in Mexico, with the much smaller remainder overwintering in interior portions. There are an estimated 115,000-150,000 black brant in the world and about 14,000 are taken each year by hunters. The highest numbers of Pacific Black Brant are shot in Mexico, where limits are relativey generous. Interesting fact: The oldest age record for any duck, goose or swan in North America is held by a Pacific Brant at 28.5 years. The Pacific Brant is slightly larger than a Mallard. Males are somewhat bigger than females; otherwise, the sexes are not distinguishable. It is one of the darkest waterfowl with a black head, neck and upper breast and a white necklace on the sides of the neck. The back and upper wing coverts are edged with lighter grays on a darker grayish brown feathers. The Black Brant has a very dark breast and belly with little or no contrast separating them. The flanks are much whiter than the Atlantic Brant. The black bill is short and stubby. They are a highly vocal and gregarious species that are receptive to calls and decoy like a dream. An attractive addition to game rooms, they are popular among collectors and the passion of devoted Black Brant hunters. Red band, White codes: Russia–Wrangel Is. and Chukotska Peninsula. 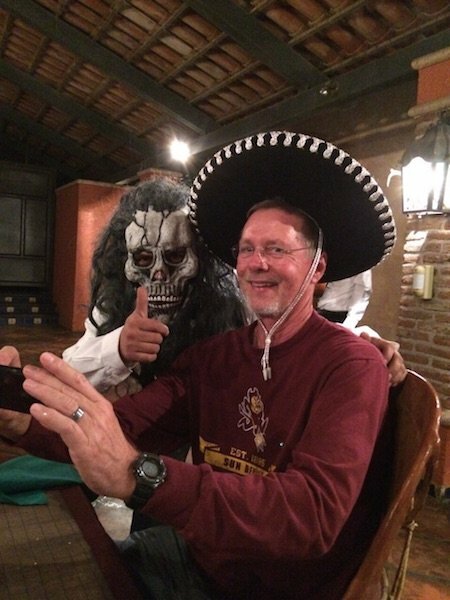 Fly into either Obregon or Hermosillo the day preceding your hunt. You will be met by the staff and transferred to the lodge. Please note that if traveling with your personal firearm, it is inadvisable to travel through Mexico City. If flying with a firearm you need fly directly from the US into Obregon or Hermosillo. 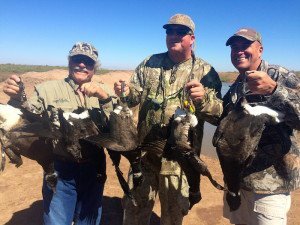 Obregon Mexico Waterfowl Hunt Checklist © is provided during pre-trip planning. The climate in the Sonora region is temperate and rather dry, receiving an average of 9 inches (235 mm) of rain annually. Expect lows in the mid-50s warming to highs in the mid-80s. Preceding your trip, consult the weather forecast for Ciudad de Obregon, Mexico, and pack accordingly. Do NOT import ammunition without the proper permits. This is a serious criminal offense in Mexico. Quality ammunition will be available at the lodge, or you may import ammo pursuant to your firearm importation. Contact us about this Obregon Mexico duck hunting combo. Awesome Mexico duck hunting. Once in a lifetime trip, they 100% had me on the birds. Awesome Mexico duck hunting. Once in a lifetime trip, they 100% had me on the birds. I’M COMING BACK HOPEFULLY NEXT SEASON! Thank you Ramsey and Mrs. Russell at GetDucks.com! 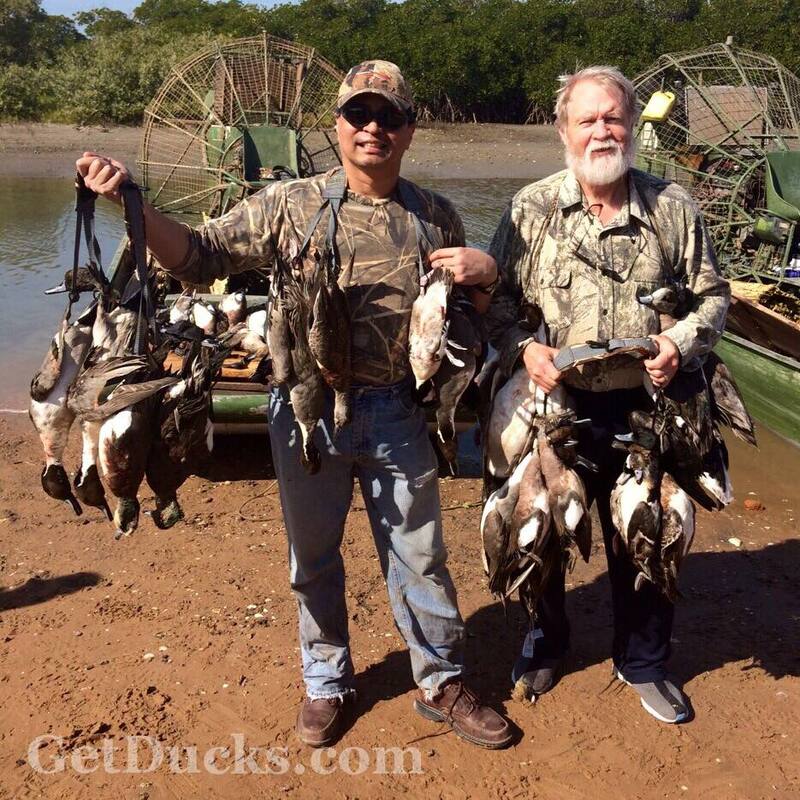 Obregon Mexico was unlike any other duck hunting experience. You guys at GetDucks.com under promise and over deliver. Excellent attention to detail. Great birds with excellent plumage, many species, and comparatively close to home. The bluebills canal hunt stood out. Great shoot with great friends. 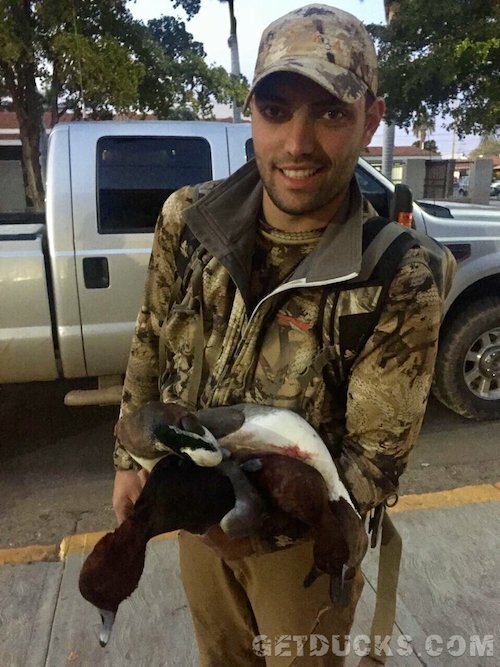 Obregon Mexico was unlike any other duck hunting experience. You guys at GetDucks.com under promise and over deliver. I have never experienced such an awesome hunt before with birds and ducks! GREAT TEAM! I have never experienced such an awesome hunt before with birds and ducks! GetDucks.com gave very good information about getting in and out of Mexico. 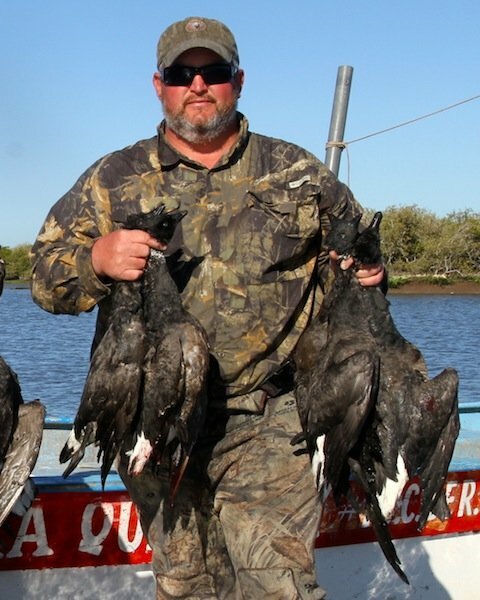 Obregon Mexico waterfowl hunting combo was fantastic, great hunts. Everyone did everything they could to make our hunt what we wanted it to be. 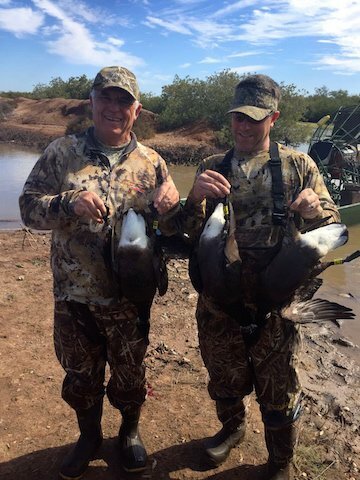 Obregon Mexico waterfowl hunting combo was fantastic, great hunts. The staff did everything possible to make us comfortable and get us on the birds. Poncho was always professional, positive and there to help. Edgar, my bird boy, would put some good labs to shame. The hunt was just as advertised. Everyone did everything they could to make our hunt what we wanted it to be. The place was everything I’d hoped for in the hunting was great! Ramsey and his wife, Anita, are always very easy to get up with and very attentive to detail. They help things move smoothly and gave us good insight on planning both before and after the hunt. Obregon Mexico duck and brant hunting combo was the best trip I have ever been on. I appreciate the fellowship we shared in the blind as well. Speaking for myself only, the Obregon Mexico duck and brant hunting combo was the best trip I have ever been on. I appreciate the fellowship we shared in the blind as well. Hope you smack them this week. 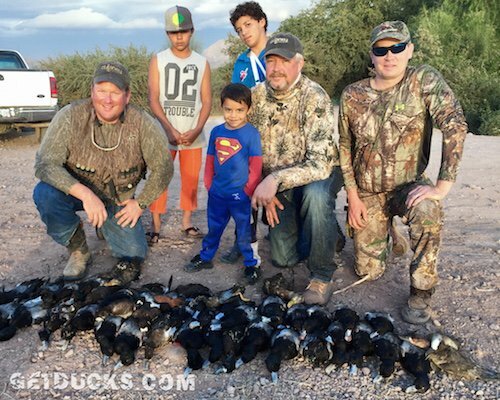 As an overall trip, our Obregon Mexico waterfowl hunt was great! Plenty of birds, great food, and great hospitality. 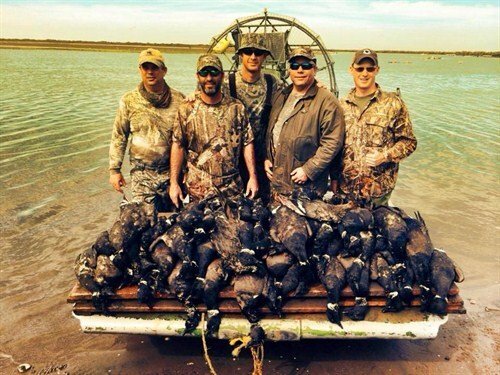 Wouldn’t hesitate to book this Obregon Mexico duck hunting combo trip again. GetDucks.com left nothing unattended while booking the hunt. Good people and great hunting. 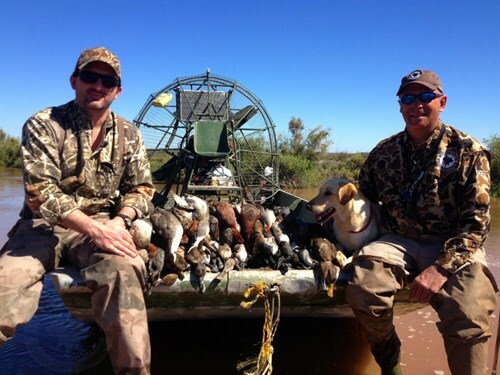 Wouldn’t hesitate to book this Obregon Mexico duck hunting combo trip again. Laid back atmosphere and the guides strive to accommodate you in every possible way. GetDucks.com left nothing unattended while booking the hunt. Very professional and helpful. Everything flow seamlessly. 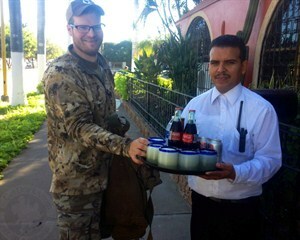 Every aspect of my Obregon Mexico brant hunting combo trip was highly organized. Staff was attentive and professional. 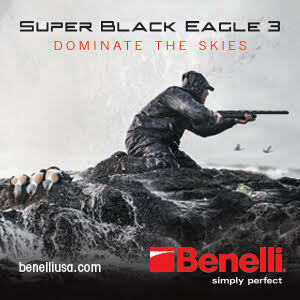 High quality shooting and abundant birds of all species. Where else can a hunter get the high level of hunting experience that was afforded so close to home? Every aspect of my Obregon Mexico Brant Hunting Combo was highly organized. Staff was attentive and professional. We were actively engaged in hunting activities throughout the entire day. Equipment functioned well. High quality shooting and abundant birds of all species. I especially enjoyed hunting with Ramsey and getting to know him personally- he’s the real deal! The brant hunting was actually better than I had expected. The dove hunting was non-stop action as well. Both Anita and Ramsey were available and attentive whenever they were contacted. I greatly appreciate their straight forward and accurate depiction of the quality of hunting and level of shooting to be expected. As a goose hunting guide, I was impressed with how much the crew did for us each day. Obregon Mexico duck and brant combo was a great trip, and I will be going back! I had a great time, hunting accommodations and food was great. Service was great, all the guys worked hard for us each day. As a goose hunting guide, I was impressed with how much the crew did for us each day. Obregon Mexico duck and brant combo was a great trip, and I will be going back! I’ve got nothing but good things to say about GetDucks.com. I wish the shooting had been better but things were pretty perfect the way they were. El Niño had pushed the bulk of the birds northward and we struggled as a group that first week in March. The group of people were to be cherished however, be hard pressed to find a better group of hunters to share duck camp with. I was chiefly thankful that I was able to experience such a trip as this and just be in the salt marshes enjoying another sunrise. 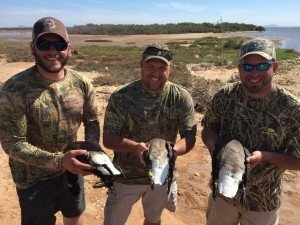 It’s hard to pinpoint just one thing that stood out over all the rest during our excellent Mexico brant and duck hunt in Obregon. Each hunt was great and overall had plenty of shooting, and I was able to harvest all the species I was after. From the very beginning, the staff was hard working, polite, and did everything to make sure our entire trip went as smoothly as possible. The staff was always on time, and each hunt was executed perfectly. Blinds were already brushed and ready and decoys set. All we had to do was pull the trigger and the staff took care of the rest. Overall an amazing experience. Hanging out at the lodge after each day was very enjoyable though. Anita was always prompt with emails and extremely helpful from the very beginning, before I even decided to book. I had several questions during the planning process of the trip and Anita was always very nice and helpful and was sure that all my paperwork was in order and in time. 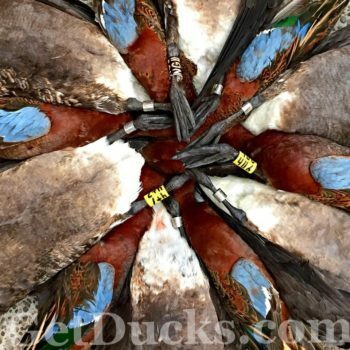 Getducks.com did all the leg work and took out all the stress of choosing the right outfitter and making sure all of the important details were attended. Anita was helpful and it was great to hunt with Ramsey. 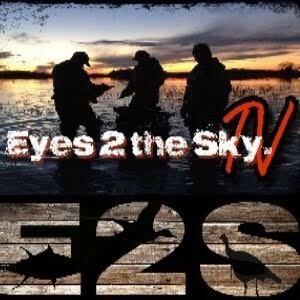 Getducks.com has everything a destination hunter and trophy collector could ask for. Their packages are very appealing and well described. Both Ramsey and Anita were helpful through the entire process and even during the hunt. I just took the survey for my trip. I wanted to say thank you again. I tried to be critical, and I really couldn’t be. GetDucks.com did an awesome job and I’m truly blessed to say I got to experience Obregon Mexico brant and duck hunting first hand. Everything was as promised and we were very successful. Also the lodge and all employees were incredible. Everyone treated us like family from the moment we walked in to the final goodbyes at our airport departure. Everything was trouble free and clearly explained as advertised. I was a little apprehensive about transporting a firearm and it went smoothly. All of the value and memories of this hunt are completely undersold. Ramsey and Anita are top notch and don’t need to change a thing. GetDucks.com is a huge name in the industry, but Ramsey is extremely personable and patient with all of the dumb questions I asked. He’s also a great guy to share the blind with. I can’t wait to get back down there again. Lots of birds and they took excellent care of us during our recent Mexico brant combo hunt in Obregon. Fantastic staff. Lots of birds and they took excellent care of us during our recent Mexico brant combo hunt in Obregon. Fantastic staff. The food was very good. GetDucks.com staff is very professional, very easy to work with. Everything was great. 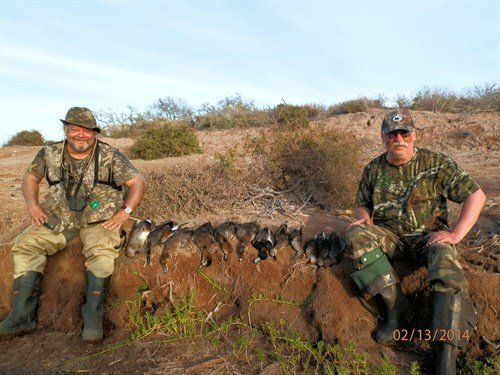 Mexico Brant Hunting – The most valuable thing to me about dealing with GetDucks.com is service and quality of hunts. Thanks for another great trip. My father and I had a great time. Great hospitality, great service and great hunting. We really enjoy the Mexico brant hunting. I love hearing the ocean in the back ground and how well the brant respond to calling and decoys. The most valuable thing to me about dealing with GetDucks.com is service and quality of hunts. Obregon Mexico brant hunt pulling the trigger on those brant! Best hunting experience ever with an outfitter. Best hunting experience ever with an outfitter. Pulling the trigger on those brant! Got more waterfowl in 5 days than some people kill in a whole season, including a super old Avise banded brant (24 years old). GetDucks.com made it easy to book the Obregon Mexico brant hunt and made the dates I could hunt happen, even with a last minute booking. Mexico duck and brant hunt at times seemed as good as ducks in Argentina…All this at a very good price. Good numbers of species of duck and geese to shoot. Staff were very accommodating and attentive. If something was needed, they were there. Travel from my home town to the lodge was easy and quick. All this at a very good price. My fondest memory of this Mexico duck and brant hunt was to be able to hunt with the “World Famous Ramsey Russell.” And, to watch those dumb brant drawn into our decoys by a black kite from great distances was amazing. The numbers of ducks and pass shooting opportunities at Los Lobos Bay was outstanding and at times seemed as good as ducks in Argentina and Uruguay. Anita provided excellent communication with me during the planning and preparation of this trip. Ramsey is very attentive to his client’s needs and makes sure that his clients get what they came for and Anita makes the planning and preparation a breeze. Everything was awesome from the start to the finish. The guide-staff were very positive and made everything perfect. Already rebooked and looking forward to next year hunting my dad and brother. Great hunts, good lodge, good food, good operation, well planned out. Great hunts, good lodge, good food, good operation, well planned out. We were well informed and well planned thanks to Ramsey and Anita. I had confidence that everything would be handled. We flew into Obregon via Mexico City. The UA agent told us we did not have to claim luggage that it was checked all the way through, so had Ramsey not talked me through the process beforehand it could have been a big problem if we had left our luggage sitting there unclaimed while we were in Obregon. This was my third father-son trip with GetDucks.com and I had confidence that everything would be handled. As AMAZING as Obregon Mexico duck hunting was, I may be spoiled for life! GetDucks.com staff were a dream to work with. Shot every species of duck that I was interested in mounting. I even shot a fulvous duck as a huge unexpected bonus. Being on a ‘hosted’ hunt with Ryan was first class! I’ve never had more professional guides in my life. What an incredibly gracious host at the lodge! If only there was a place in DFW to get food as good as we ate in Obregon. GetDucks.com staff were a dream to work with. overwhelming peace of mind. As AMAZING as Obregon Mexico duck hunting was, I may be spoiled for life! Obregon Mexico duck and brant hunt staff went above and beyond to put us in excellent hunting situations. Excellent accommodations, equipment, staff and hunting grounds. 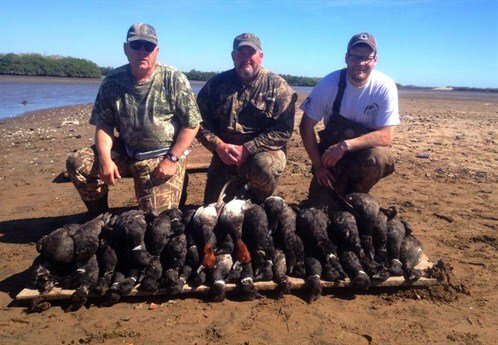 Our black-bellied whistling duck hunt was amazing! Obregon Mexico duck and brant hunt guides and staff went above and beyond to put us in excellent hunting situations. The entire experience was smooth from beginning to end. 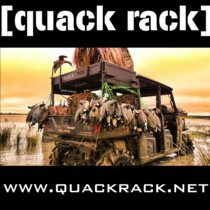 GetDucks.com is a one stop shop. Anita’s professionalism and attention to detail is unequalled. Obregon Mexico brant hunt was excellent. Very Attentive and competent staff. Nice lodging and food. They put us on the ducks and brant. Moved us if it was slow. Most of all, it was a real hunt. Not a guided shoot with someone else calling birds and calling your shots. Lots of birds and opportunities. 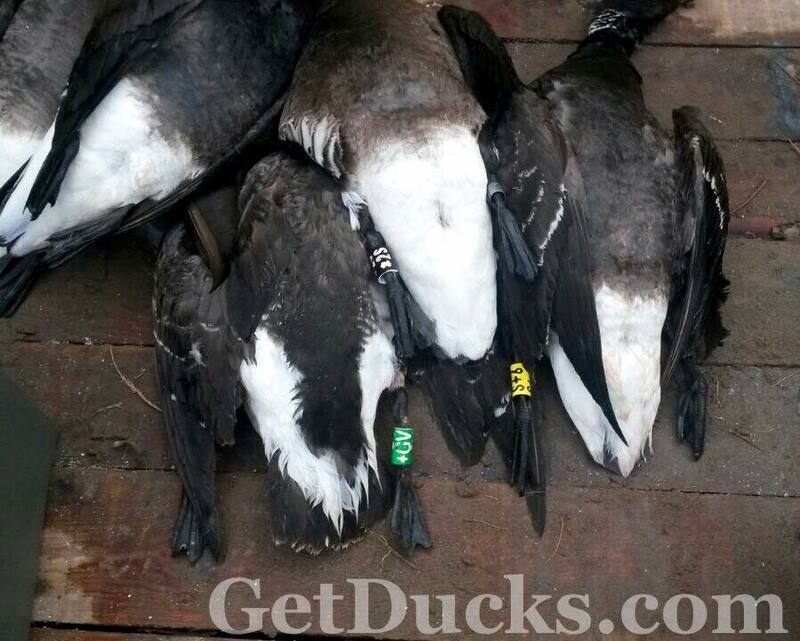 GetDucks.com is a one stop shop. Anita’s professionalism and attention to detail is unequalled. GetDucks.com’s reputation is true and accurate. I will attest that Ramsey and Anita Russell deliver. GetDucks.com’s advertising and reputation is true and accurate. Just like many other satisfied customers, I will attest that Ramsey and Anita Russell deliver. The variety and quantity of the waterfowl was exactly what I expected during the Obregon Mexico brant hunt. The scenery, change of pace, and the abundance of the waterfowl provided the perfect vacation. I just returned from Obregon Mexico duck and brant hunt and had a great time. The brant hunting was off the charts! 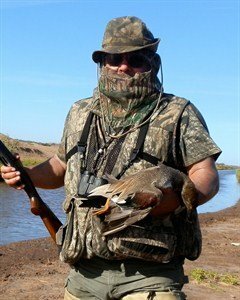 I am interested in one of your Argentina duck hunts, please send me details on remote duck hunt in brochure with June/July dates. My recent hunting trip to Obregon Mexico for ducks, brant and doves was fantastic! The accommodations, staff and food were great. I am looking forward to another trip down there very soon. Trophy importation was made very easy. Thanks to GetDucks.com for the great hunting trip. Thanks to Ramsey and Anita and the whole Getducks.com team for putting together the hosted Obregon Mexico duck and brant hunt. Every step of the way was as painless and well organized as I’ve come to expect from them. GetDucks.com is the best booking agency around. Frank, the owner of the outfit, was as on the ball as I’ve seen yet. His staff and air boat guys were truely amazing. Bar none. I wanted to come home with some teal slams, shovelers, Mexican mallards. Was able to take all and more. Exporting was handled – the permits and paperwork and crossing customs in Dallas was easy. I enjoyed every minute of GetDucks.com’s Obregon duck, brant and dove hunt. The host was perfect, the staff was Johnny on the spot for any request and just plain never missed a beat. We went to Argentina a few years ago (through another agency), but we are planning on revisiting this Mexico duck hunt again instead. It’s closer, cheaper, and the hunting is great. We’re going to add an extra day next time to include bass fishing. GetDucks.com did an excellent job organizing this trip and I will strongy suggest your services and this destination to friends. I’m a duck hunter. Or at least I try to hunt ducks. Southeast Pennsylvania is not exactly a duck hunters paradise. But, I do manage to harvest a few for the table each year. I’ve traveled to a few places through-out the country. Trying to add to my collection of prized birds. Sometimes successful, sometimes not. But each trip held it’s own rewards. Just being in the marsh at daybreak to watch the world wake-up in a new place is something to live. A few years ago, I decided I really wanted a Blue-winged Teal to add to the collection. Started making the calls, without much promise. Then I was told Mexico is the place to go. I found GETDUCKS.COM, operated by Ramsey Russell. The website itself was impressive, and looking at his Facebook page, I was convinced he is an experienced world-traveling duck hunter. 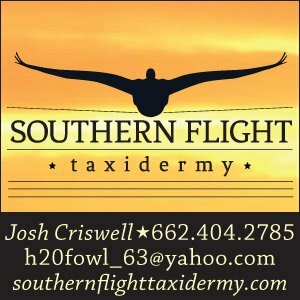 When I called Ramsey, he told me about a few upcoming trips in Mexico, including a hosted Obregon Mexico duck hunt that he invited me to join. The price was right and included everything except for ammo and airfare. I like to K.I.S.S. and have a good time. This sounded perfect and perfect it turned out to be. From the moment I stepped off the plane it all felt “right.” It was a pleasant surprise to walk into a beautiful estancia in the middle of town. I felt like I was in someone’s private clubhouse. Our bags were put in the very nice comfortable rooms, with the air-conditioning already on. Harvesting different duck species every day was fantastic experience. The quality and quantity of the birds was spectacular!! 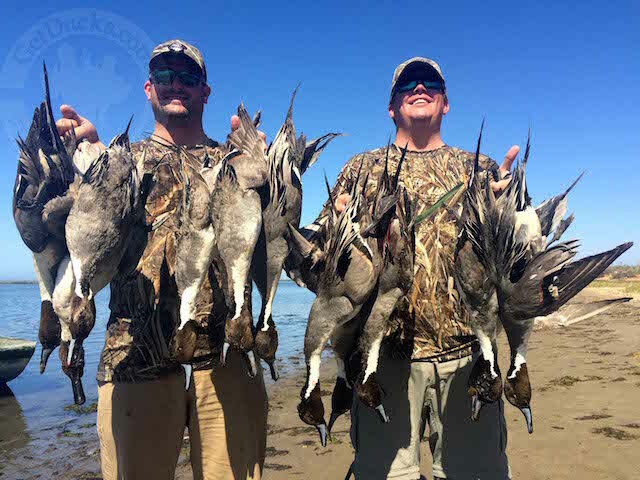 The group bagged at least 15 different species of waterfowl, and saw many different types of shorebirds, wading birds and pelicans while hunting the tidal flats. All absolutely beautiful!! The birds I brought home to mount: Green-winged teal, Blue-winged Teal and Cinnmon teal, Wigeon, Pintail, Lesser Scaup, Mexican Duck and Shoveler. 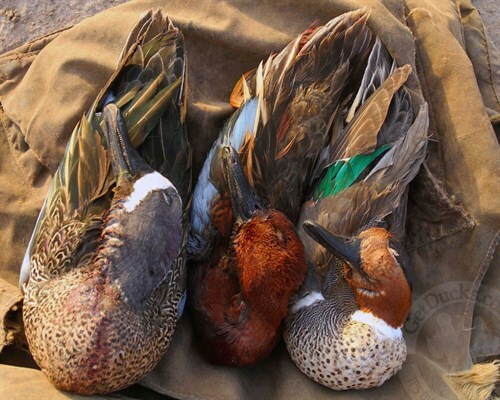 We harvested drake and hen Redheads worthy of the wall. One day we harvested the most beautiful Gadwall I’ve ever seen, an I’m kind of kicking myself for not bringing one of them home. Absolutely beautiful. One of the nicest rewards was seeing the local children at the boat ramp one morning, smiling to be getting ducks for dinner that night. Two waiters awaited us every afternoon at the lodge, one with coca-cola and cold water, another with fresh margaritas and cold cervezas. Appetizers of bacon-wrapped dove breasts, chicken wings, quesadillas, and the best FRESH guacamole in the world were all very good and held the wolves at bay until dinner. Plenty of time to take a nice shower, update the log book, enjoy story-tellings from the day and past trips. We ate like kings throughout the week to include the largest smoked pork chops ever, lentil soup with peppers, BBQ chicken, tortilla soup, Mexican night with home-made tamales, fajitas, chiles rellenos, polenta, and black bean salsa that were all fantastic!!. The final night we had porthouse steak with guacamole and grilled onion sides while being entertained by a 10-man mariachi band. Perfect ending to a Great week!!!! 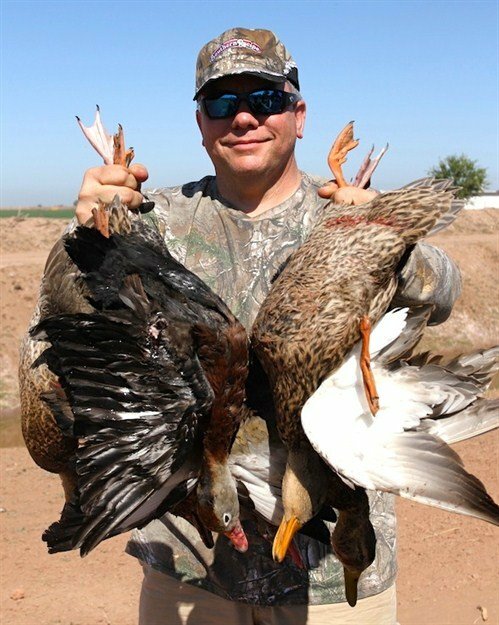 Thanks to Ramsey Russell’s GetDucks.com, my Obregon Mexico duck hunting trip (to include my bringing personal shotguns) went perfectly. Trophy birds were easily imported and I brought home black brant, cinnamon teal, Mexican mallard, and a black-bellied whistling duck. The duck hunting, accommodations, and services were fantastic. Thanks for such a great and memorable hunting trip. 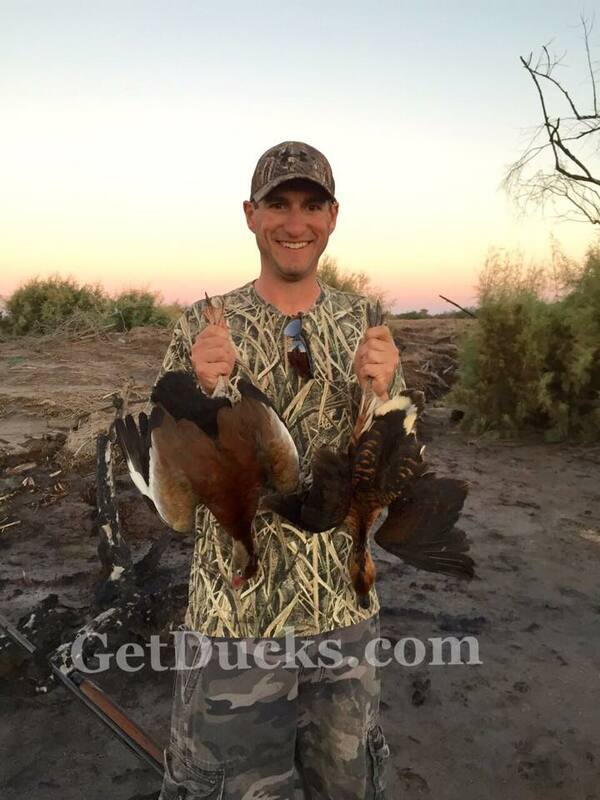 Just wanted to send an email tell you how good of a time I had duck and brant hunting in Obregon, Mexico. As you know I went not knowing anyone and came back with many friends. Frank and his staff do a wonderful job making sure that you are comfortable and that all of your needs are well taken care of. This was the first time that I had actually met Ramsey in person. He was great and was constantly making sure I was having a good time. I would recommend this hunt to anyone. Thanks to Cherie for the smooth travel arrangements. Thank you GetDucks.com for a fantastic time and I’m sure you will be hearing from me again soon.